Gian Tornatore presents an exciting and sophisticated repertoire of jazz music that can be enjoyed by all audiences. He was raised in California and was exposed to the rhythmic R&B sounds of Tower Of Power at an early age. Upon moving to the East Coast to attend Berklee College of Music, his saxophone playing and compositions became heavily influenced by musicians such as George Garzone, Chris Potter, and Pat Metheny. Gian is a graduate of Berklee College of Music and New York University. He has developed his unique approach to performance and composition by studying with world-renowned musicians such as Joe Lovano, George Garzone, Hal Crook, and Bill Pierce. Gian is currently freelancing and teaching in the New York City Area. All music by Gian Tornatore, except Track #4 by Frédéric Chopin and track #8 by Miles Davis. Recorded April 29, 2003 at Acoustic Recording, Brooklyn, New York. "Sink or Swim features saxophonist Gian Tornatores fine tenor and soprano saxophone work along with excellent support from Jon Anderson on piano and Fender Rhodes, Zach Wallmark on bass, and David Christian on drums. Tornatores tone is clear as a bell and his compositions display a quiet intelligence thats refreshing to behold. The CD is composed of six songs by Tornatore, plus Miles Davis Nardis andwhy not?Chopins Prelude in C Minor (Op. 28, No. 20). The highlights include Tornatores Threes a Crowd; the melody line is lovely, lilting with a tinge of melancholy and Tornatores playing moves from gentle and fluid to loose and swinging. Nardis is another gem, a tribute to Davis which features tempo changes and a deeply swinging rhythm section. The Fender Rhodes is a nod to Davis groundbreaking use of the electric piano, and Tornatores solo work is intricate and inspired. While Tornatores saxophone propels Sink or Swim, credit must also be given to Anderson, Wallmark, and Christian. Their cohesive playing is essential to establishing the CDs low-key groove, which sets up Tornatore perfectly. Altogether the group combines serious chops with deeply felt expression, making Sink or Swim yet another fine addition to the Fresh Sound New Talent catalogue." "A nice collection of straight-ahead/classic music, SINK OR SWIM will find many jazz listeners, and the sounds will attract a large audience. 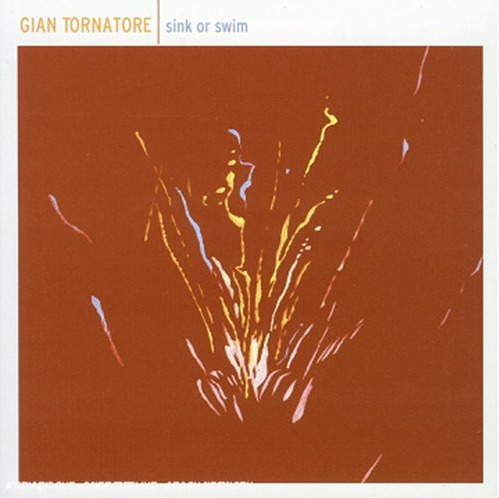 In addition, Gian Tornatore performs many of his own jazz compositions. There are eight songs in the collection. Total time is 61:04 minutes playing time. Among the creative jazz selections are found such songs as "Heaven's Dew," an original interpretation of Chopin's "Prelude in C Minor, Opus 28, No. 20," "Upstate," "Lotus," and "Three's a Crowd." A fine composer and performer, Gian Tornatore shines brightly in this collection. His sound is pure and melodic. Gian Tornatore is a saxophonist with style and feeling." "Sink Or Swim is the debut album by saxophonist Gian Tornatore. He and his band, featuring Jon Anderson on piano and Fender Rhodes, Zack Wallmark on bass, and David Christian on drums, create music rife with exploratory brooding. Particularly with the pulses of the Fender Rhodes in the mix, the album calls to mind the late period recordings of the second Miles Davis Quintet. Tornatore composed six of the albums eight tracks (the two covers are Nardis by Miles Davis and Prelude in C Minor by Frederic Chopin, which is given a lovely and pensive reading with Wallmark on bowed bass). Tornatores compositions are typically midtempo, winding affairs that give the band a good chance to stretch out. San Francisco Style features a sparkling Fender Rhodes solo by Anderson in addition to some even-tempered statements by the leader on tenor. Elsewhere, on the aforementioned Nardis, the band really gets a chance to cook. The arrangement starts out slow and funereal before it gathers steam and the musicians take turns whirling off exciting lines. Sink Or Swim is an impressive and assured album from a young band that concentrates on fundamentals and avoids any gimmickry. These musicians play with admirable restraint and sensitivity to each others strengths."